November 7 – Eliminated from the Champions League on Tuesday with two rounds to go and in trouble near the foot of the French league, Monaco have been rocked off the pitch with the news that their Russian billionaire owner has been taken into in custody. Reports in France said police carried out a search on of Dmitry Rybolovlev’s luxury penthouse, possibly (but not confirmed) as being part of a long-running dispute with a Swiss art dealer who he claims swindled him out of up to $1 billion by charging inflated fees. Last month Rybolovlev opened a new front in that legal battle, launching a $380 million lawsuit against Sotheby’s through the New York courts. He accused the auction house of having helped Bouvier carry out “the largest art fraud in history” at his expense. Rybolovlev says Bouvier tricked him over the acquisition of 38 works of art he bought from him over a decade. “He repeatedly and blatantly misrepresented the acquisition prices for the paintings,” pocketing the difference himself, says the lawsuit. Sotheby’s has dismissed the lawsuit as “entirely without merit”. Separately, Monaco were one of the clubs implicated in the damning Der Spiegel reports over financial fair play amid claims the owner attempted to circumvent the rules by using a bogus marketing deal to inject more funds into the club after Monaco incurred losses. Monaco, fined by UEFA in 2015 for breaching FFP rules, have vehemently denied any wrongdoing this time around. 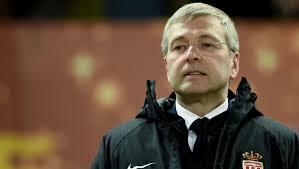 Rybolovlev saved Monaco from bankruptcy when they were at the bottom of France’s second division by purchasing the club in December of 2011. They were promoted 18 months later, were French champions in 2017 and have been regular Champions League participants. However, with a small fan base and stadium, the club have been unable to maintain the momentum and are having a disastrous campaign this season with former Arsenal great Thierry Henry at the helm.